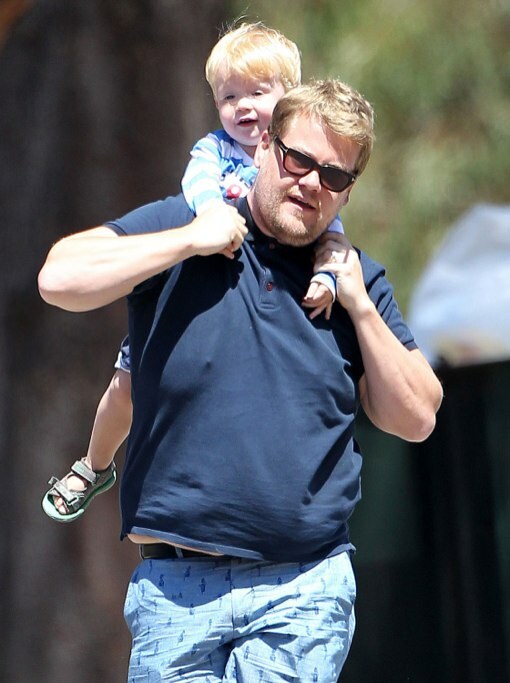 James Corden and wife Julia Carey were photographed playing with their son Max at a park in Santa Monica, CA on Monday (June 10). Dressed in a navy polo shirt and dress shorts, the Gulliver’s Travels actor doted on his son while swinging him around by his hands. The 2-year-old then enjoyed a swing ride before his dad gave him piggy back ride. The actor might be making a move from British productions to Hollywood big screen action movies. According to the Sun, James discussed potential film roles over dinner with Tom Cruise this week. The Top Gun has been impressed with Brits work over the past few years. “But he’s got some other big films in the pipeline, so it won’t be a straightforward choice,” the source added. Meanwhile, James can be seen on The Wrong Mans which airs on BBC 2 later this year.